Last week I reviewed a collection of artwork by Jason Lenox. 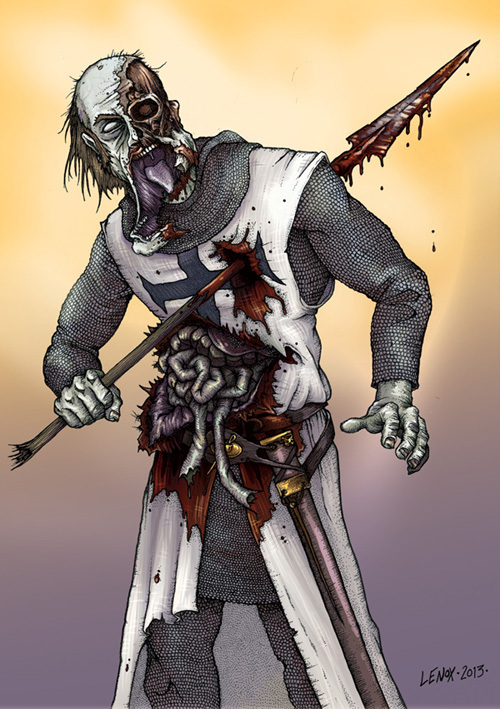 I was intrigued by his illustration of an impaled zombie crusader. The piece was well-researched and depicted a knight of the Third Crusade, 1187-1197. This is the period depicted in the movie Kingdom of Heaven. Four years after the end of hostilities a terrible famine struck the Middle East, as starvation often follows on war throughout history. In such cases plague often follows on the heels of famine. War, famine, and plague are three of the Four Horseman of the Apocalypse. The Fourth Horseman is Death. From the perspective of the Islamic world the crusaders [or Franks, as they were known to the Arabs] could represent any or all of these four dread harbingers of doom. The famine appeared to be worst in Egypt from 1200 through 1201. Interestingly enough, a year or two later, the Sultan of Egypt bought off the leaders of the Fourth Crusade, which did not then invade Egypt, and took Byzantine Constantinople instead in 1204. Crusader armies of the period were unwieldy conglomerations composed of gang-like bands of warriors led by notoriously impetuous and insubordinate men. There is reason to believe that numerous small-scale raiding parties split off from the main crusader armies, never to be seen by Christian eyes again. It is a fact that crusader swords were still found in the hands of Arabic and African warriors into the late 1900’s. 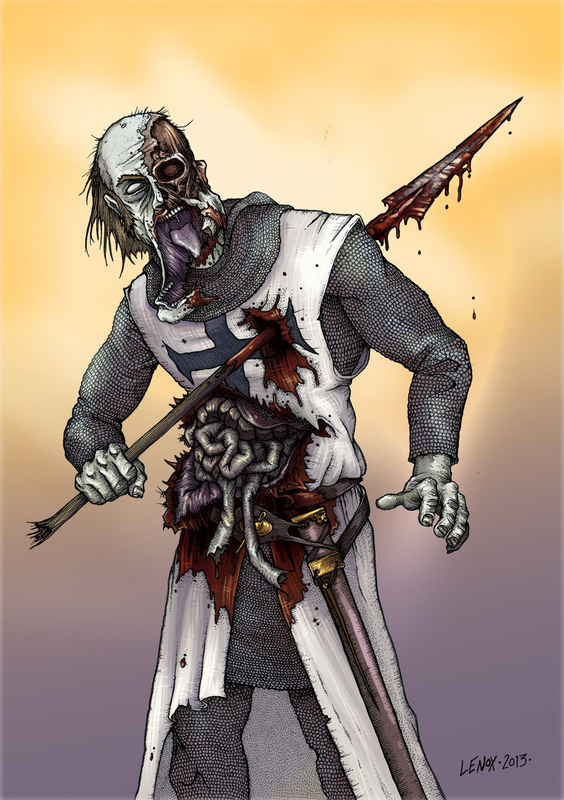 Fruit of The Deceiver is my best hypothesis concerning the horrific possibility of a zombie crusader. In the end all roads lead to horror. Welcome to the monster club!! I am still confused about the fact that I am writing horror.